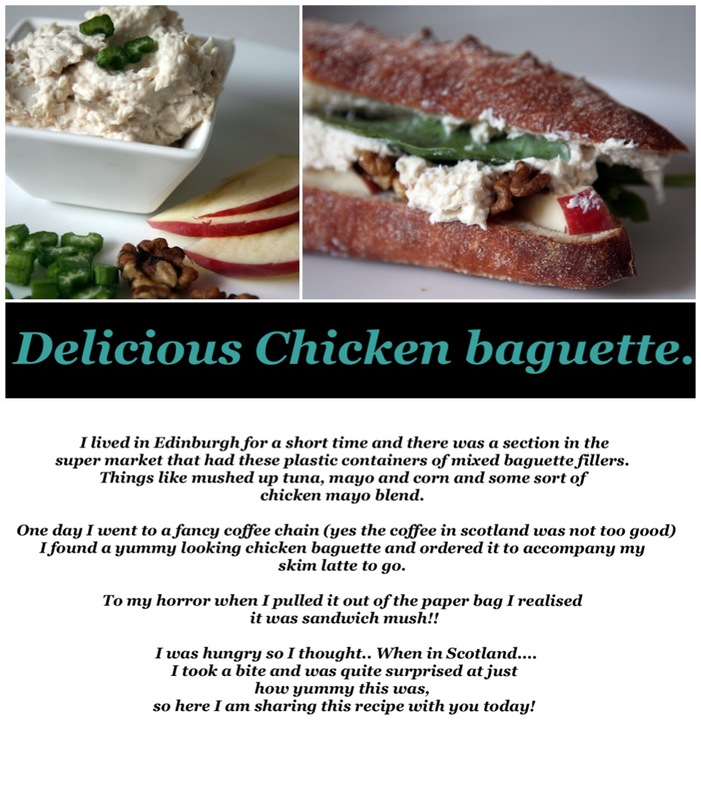 Delicious French style Chicken, walnut and Apple Baguette. You have to try this its delicious! Roast your own chicken breast or buy a roast chicken and remove chicken breast. Pop in a food processor with 4 table spoons of whole egg mayo 1 tablespoon of chopped celery, a squeeze of lemon juice, 1 tablespoon of shallots, and some grated apple. Mix till it is a firm paste. Pop on a crusty roll with some sliced apple and walnuts, salt an pepper and you are done. Optional add some rocket or spinach leaves.